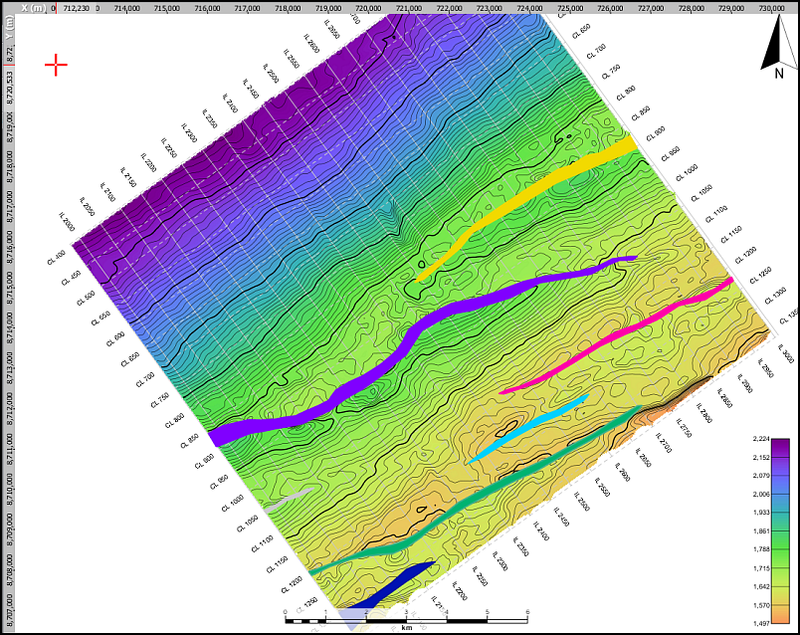 I’ve adopted a project in which they have carefully picked individual fault polygons. I want to use them to condition some horizons, but Insight only allows me to select one polygon at a time. To do this, I need to merge the separate polygons into one. Let’s explore combining polygons and discover the pitfalls along the way. Open the Polygon tab in the Control Panel. Select the polygons to combine. To select a series of entries, click one then hold SHIFT and click the last. 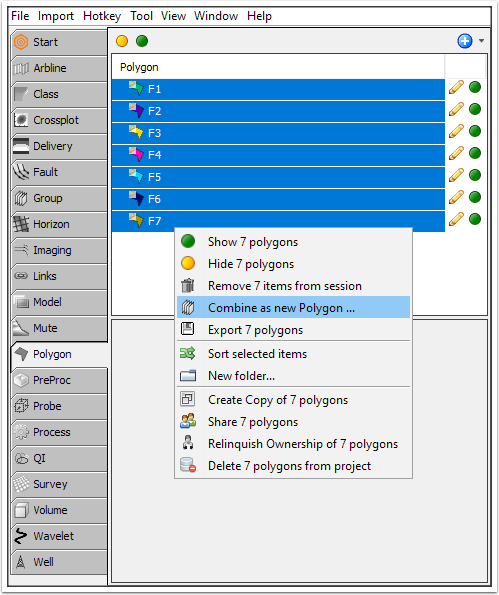 Select specific polygons by holding CTRL and clicking each polygon separately. This is similar to selecting multiple files in Windows. 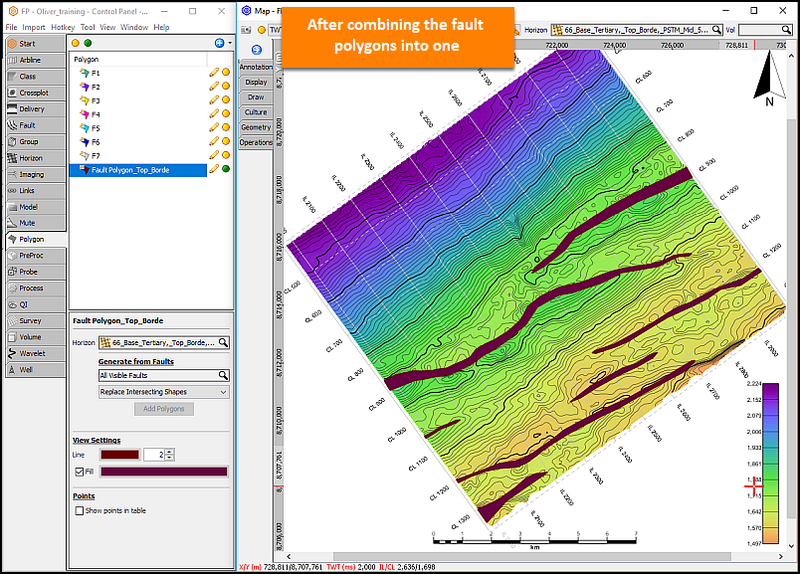 Once you have your polygons selected, right click and choose Combine as new Polygon. If the Combine as new Polygon option is missing, then read on! Polygons can be assigned a time or depth, or even be “hung” on a horizon. You can only combine polygons if they are all on the same plane: the same time, depth or horizon. This setting is in the details panel when you select a polygon from the list. In my example, I set the Z-dimension to a horizon for each polygon before combining them.